Pradhan Mantri Kisan Samman Nidhi scheme is an initiative of the Government of India introduced in the interim budget of 2019 in which 120 million small and marginal farmers who have less than 2 hectares of landholding will get up to Rs 6000 per year as minimum income support. The scheme will cost around Rs 75000 crore to the government. In the Economic Survey 2017-18, Arvind Subramaniam had predicted that India would move towards a quasi-basic income. The PM Kisan Samman Nidhi scheme can be seen as a small beginning of the idea proposed in the survey. It can be seen that since the proposal has been put on the table, the present government has been trying to use it in its economic policy. The income support of the scheme is expected to support the farmers living at the edge of subsistence but it has been argued that without sufficient focus on proper implementation, it is unlikely to make any significant impact. It is India’s first direct farmer investment support scheme where cash is paid directly to the farmer’s account. Status of the land records? The Digital India Land Records Modernisation has been implemented by the states for more than a decade. Several states have claimed to have completed computerisation of the land records but many have not yet begun. States like Jharkhand, Bihar, Gujarat and Tamil Nadu have incomplete tenancy records and the land records aren’t digitised. The question is how will the government reach them with the nonuniform status of landholding records across the states. In the absence of complete information, the scheme will end up benefitting only those who hold land titles and not the small, marginal or tenant farmers who are the most vulnerable. Verifying ownership claims is a daunting task for the states and they have been asked to inspect their land databases immediately in preparation for the scheme. Which section of the farmer’s community is left out? The relief of the scheme is provided only to farmers who have landholdings and the tenant farmers, agricultural labourers and many Adivasi communities who cultivate land without individual rights have found themselves left out in the scheme. This left out section have outnumbered other farmers in the country. According to the 2011 Census, 263 million people are engaged in farming and over half of them are agricultural labourers due to the falling size of landholdings. It can be seen that the Centre has not understood the big mess in which the farmers are in. It’s the responsibility of the government to provide social security to the left out section in the scheme as they constitute the backbone of the agriculture sector. The direct transfer to the beneficiaries account from the third instalment (initially second instalment) requires enrolment of Aadhar card number of the farmers so that they can access the benefits. While previous welfare schemes requiring Aadhar number have faced significant hurdles, the government now will relax few conditions relating to it. It believes that Aadhar will help it cut on frauds and pilferage in the scheme. The number of Aadhar users in the farmer’s community has not been up to the benchmark of the government and it shall be an ordeal task for the government to ensure that the farmers obtain Aadhar card for a stable payment infrastructure. Chief Economic adviser K.V. Subramanian says, “Farm income support scheme PM-KISAN will provide multiple benefits to farmers, including improving their creditworthiness. The other important benefit of this scheme is in terms of making farmers creditworthy as financial institutions have assured cash flow for this vulnerable section. The average income of farmers in 2015-16 was about Rs 30,000 and, hence, Rs 6,000 would be 20 percent.” Many economists claim that the government is careful about the need for financial support for the smaller landholdings, speaking in support of the two-hectare land mentioned in the scheme. An assured income can encourage farmers to boost productivity. The cash received if invested in the field can create higher returns and will be a support to the credit and insurance system. The scheme has the potential to deliver significant impact on welfare but with an alternative bottom-up strategy. According to Rangarajan report, India’s poverty line is ₹32 per person per day in rural areas and ₹47 in urban areas so the income support of Rs 17 a day is largely insufficient for even bare minimum upkeep of the vulnerable farmers. Many farmer leaders have asked the government to ensure remunerative price for their crops along with the income support scheme. It is also believed that the extra income may be spent on alcohol and other illicit activities. To avoid this we would need to add on some amount of social engineering to the income support scheme. The PM Kisan Samman Nidhi scheme needs to be refined and fiddled to include the more deserving section of the farmer’s community that are currently left out. It is worth mentioning that the financial assistance KALIA ( Krushak Assistance for Livelihood and Income Augmentation) scheme announced of the Odisha government benefits land-owning farmers (up to 5 acres) and tenant farmers including agricultural labourers and could have served as a model for the centre. But there are challenges to this also such as identifying the beneficiaries on a national level. The complexities of identification of beneficiaries and non-beneficiaries and building the weak land record system is likely to cost the centre more than the estimated cost of Rs 75,000 crore. Instead of the rushed approach, a well-planned implementation would allow weaknesses to be rectified at the local level and ensure success on a national level. 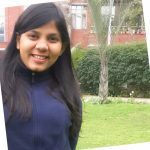 Samridhi is Editor-in-Chief at The Economics Society, Daulat Ram College.